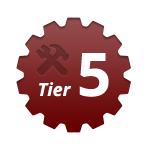 Including Daily Maintenance, Daily Reports, Add-Ons and Modification upgrades. Turn a profit by reselling AspDotNetStorefront Add-Ons and Modifications to your existing clients. As a reseller you have free access to ALL of the AspDotNetStorefront Add-Ons and Modifications developed by eCommerceCartMods for any and all domains you choose. Watch your business and your client's businesses grow and succeed with Add-Ons and Modifications specifically developed for their AspDotNetStorefront shopping carts.